Hiking is not much different from mountaineering or trekking when it comes to requirements and duty apparel needs to perform. High performance apparel needs to suit and protect you in various weather conditions and the best hiking shirts are a key part of it. Just think about all the roles such a shirt has to play: provide enough air for the skin to breathe, keep your trunk, especially the back, moderately warm, protect the skin from injury, be highly resistant to damage yet soft and smooth so you can wear it over prolonged wearing periods. 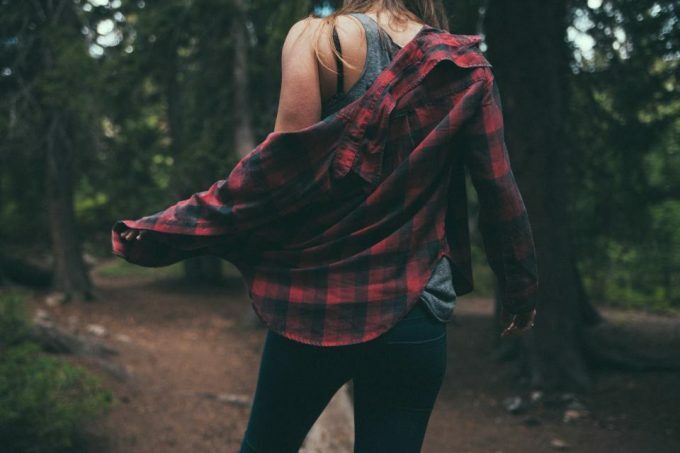 If used for long hiking trips, an ideal shirt needs to dry faster and be lightweight. Today’s reviews bring you a choice of seven hiking shirts, carefully selected by experts and regular hikers, for various hiking needs and expectations in order to make your decision on buying the optimal shirt a piece of cake. No matter the gender, we will review some of the best options on the market so continue reading. You will be able to buy the finest product if you know what you are looking for on the market. The following information will help you understand what a high-quality hiking shirt is made of and how it looks like. 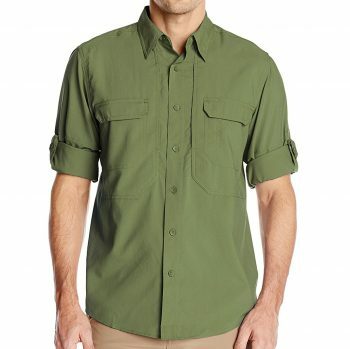 Owing to such a complex role, a hiking shirt needs to offer its wearer a good hiking experience. That’s why fabrics used in hiking shirts need to be highly sophisticated and tested in various conditions. It is important to know that artificial fabrics, such as polyester, are now improved and represent a better choice than cotton or other natural fibers. Why is cotton opted out for hiking? The way it handles excess moisture from sweating and the environment is so unpleasant that it kills the other benefits, such as the soft touch. Despite being lightweight and overall very comfortable, it will soak up excess amounts of moisture and become heavy. It will also require a long time to dry and this can be a huge problem in the case the temperature drops. Another, silent threat of cotton is chafing. Prolonged wearing of wet material will not only put you at risk of catching a cold – wet cotton has more friction and it leads to chafing. A better natural solution is merino wool. Merino wool absorbs several times less water than cotton, offers better thermal comfort, and is even a bit lighter. But it is still not that light even when dry, and it has poor mechanic resistance, poor durability and a relatively high price. Polyester is by far the best choice, and modern fabrics minimize the discomfort, which once was by far the largest reason to stay away from it. However, its advantages are huge, in particular its water resistance. Being already ultra-lightweight when dry, it will absorb almost no water at all. Yet, it is highly resistant, durable and particularity inexpensive. Another synthetic alternative is nylon, which absorbs somewhat more water, but is more resistant to damage than polyester. Today’s performance hiking shirts, are most commonly made of polyester or similar synthetic fabrics. Synthetic fabrics used in performance outdoor gear are usually a bit stiff; hence button-up is the most common type of shirt. Button-up designs emphasize good air venting allowing the skin to “breathe”. To make air ventilation even better, manufacturers often include “vents” on areas covering parts of your body which sweats the most during outdoor activities, in particular the back and the armpits. You can selectively unbutton your shirt to better regulate air flow. A hiking shirt would best be moderately tight. Skintight is too tight and will cause extra sweating, and it is always unpleasant. Even if such shirt is synthetic and absorbs little water, it will cause discomfort and let you lose body water faster. On the contrary, a shirt too loose will not provide efficient thermal regulation and will be susceptible to damage. An ideal hiking shirt needs to maintain a good temperature within it and effectively remove excess sweat from your skin. Do not go for the initial comfort you feel when you are trying new shirts in a brick and mortar store. What feels comfortable immediately after wearing, does not usually mean comfort after a prolonged outdoor activity. This is one of the reasons why cotton is opt-out while hiking. Do not look for pockets too large and don’t fall into temptation to put bulky things in these – anything larger than a compact camera is way too big. There are three common ways to close the pockets and keep the stuff inside safe: button, Velcro and zipper. The latter offers the best protection and safety. Summer hiking shirts need to protect the wearer from any negative effects of sunlight. While most clothes made of any material would protect you from sunburn, it doesn’t mean for a perfect protection from carcinogenic sun radiation. This especially goes for thin summer clothes. 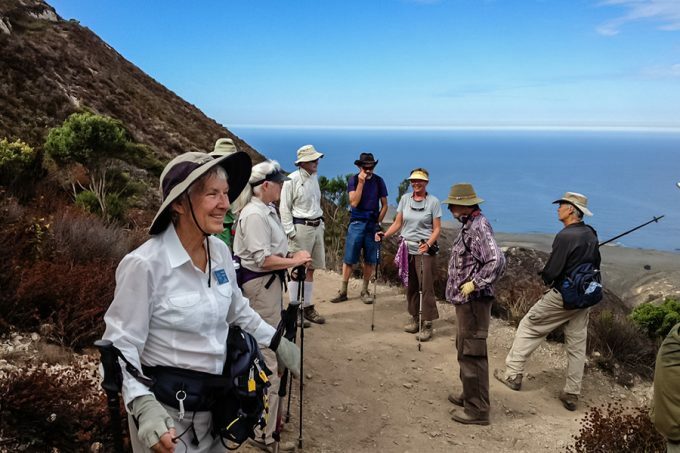 Some hiking shirts claim sun protection factors between 30 and 50. 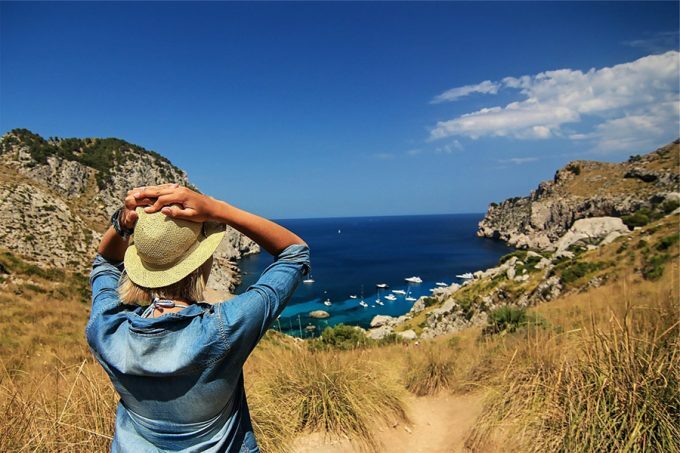 If you’ve got a sensitive or pale skin prone to sunburns, this would be among the most important features you have to look for in a hiking shirt. This is a unique feature found in some hiking shirts, allowing it to be safe and fresh after several days of use without washing. These shirts are ideal for those who take long survival trips in the wild. However, this is not something an average hiker will insist on. Merino wool naturally offers lasting antimicrobial protection properties, while polyester shirts need to be treated with a chemical which wears with time as you sweat and wash it. 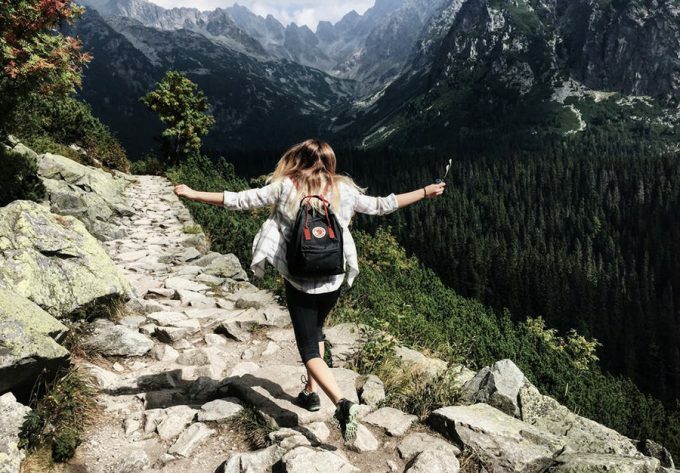 Now when you know which things are most important to consider when buying a hiking shirt, you also know that not every shirt is good for hiking, and not every hiking shirt is good for everyone. 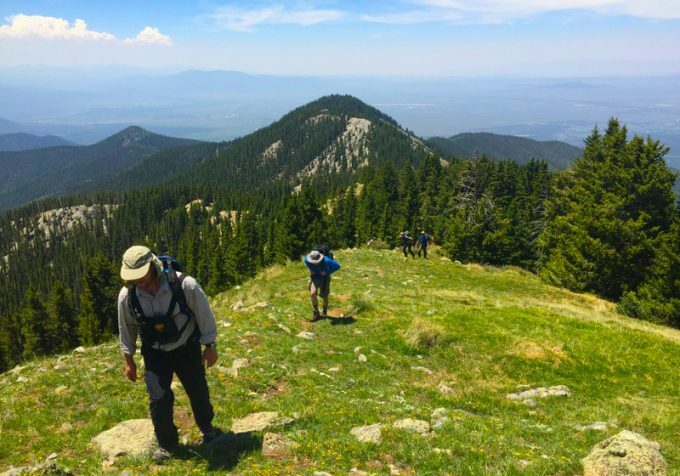 The choice of hiking shirts below will give you a useful insight of the hiking shirt market regarding comfort and features. Specific features: Short-sleeve button up shirt, four chest pockets, mesh-lined venting at the center back, 17 color options. Best use: Fishing, hiking, camping. Description: From one of the most reputable manufacturers, the Columbia Tamiami II is a result of many years of innovation towards making an ideal hiking shirt for active men. The Tamiami II is a comfortable shirt which offers a considerable control over the temperature, appropriate air flow and is very pleasant for use and maintenance. You don’t have to iron it at all! Not much shirts feature four pockets which are ideal for holding various kinds of fishing gear. And that is not all. There’s a small loop on the left side of the chest intended to hold the fishing rod while you’re trying on the bait or hook. There are two back vents just behind the shoulders, making them barely visible. Good venting assures that you will never have sweat spots on it. However, being a fishing shirt, Tamiami II is a bit larger than you should expect for a shirt in your size. If you wear larger sizes, consider buying a Tamiami II in a size smaller than your other shirts. The shirt is made of 100% polyester fabric, which is strong, durable, and wrinkle-resistant. The shirt does not require ironing simply because the fabric has exceptional wrinkle and shrinking resistance. The shirt has a sensational cooling effect; you will rarely feel the impact of a hot day’s sun. Has a remarkable sun protection rating of UPF 40, which protects you from excess UV light exposure. The 100% polyester material is delicate; it can easily get damaged. Related: We recommend you to buy the shirt along with the Columbia Silver Ridge Cargo Short. The shirt and the short will form a good outfit for offshore fishing. 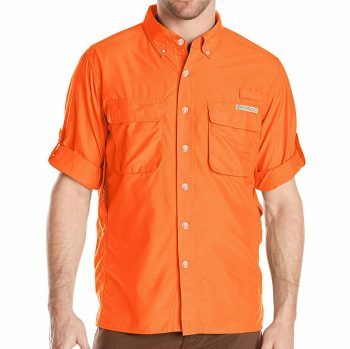 Specific features: Short-sleeve button up shirt, four chest pockets, venting at the center back, UPF 50 sun protection. Best use: Hiking, fishing, cycling. Description: The Columbia Sportswear Blood and Guts III is another release from this manufacturer primarily intended for fishing, but it is not so fishing as the Tamiami II. The shirt overall feels more comfortable for dry activities such as hiking or cycling. The cut is slightly slimmer. Another specific feature of the Blood and Guts is stain resistance. The design of this shirt is more formal, so it is quite appropriate for work. This woven shirt feels very comfortable, just like you’re wearing silk. Odor resistant, made primarily to repel smells commonly associated with angling is useful for use in the city, office, public transportation and most outdoor activities. The Blood and Guts 3 almost never wrinkle and are very pleasant regarding maintenance. The shirt’s back does not have a distinctive tail. Actually, it appears like a conventional shirt on the back as well as the bottom. This makes it highly user-friendly, because you can choose to wear it out or tuck it in; the choice is really yours. The fabric is made of 100% polyester material, which is durable and doesn’t wrinkle or shrink easily. You will rarely need to iron the shirt because of its ability to resist wrinkling and shrinking. The design is useful and versatile fitted with a vented back and chest pockets for your convenience. Like most Columbia Men’s shirts, the blood and guts III can also be worn out or in depending on your preference. Has a remarkable sun protection of UPF 50 that ensures your skin is safe from excess UV light. The 100% polyester material is delicate. Related: You should consider buying this shirt together with the Columbia Barracuda Killer Shorts, and Columbia Techsun Vent Sandal. A combination of the shirt, the short, and a pair of sandals will form a good out-of-doors outfit. Best use: Paddling, hiking, any other outdoor activity in wet or dry conditions. Description: Stretch polyester hiking shirts are not quite common, but the Royal Robbins Expedition offers two-way mechanical stretch, making it a “Swiss knife” shirt regarding all activities where it can accompany you. Dual secured pockets are great for documents, gadgets and the wallet, though you might also use additional two secured pockets which are really huge. Thanks to the fabric type its long sleeves roll up with ease. The whole shirt, however, might be a bit blousy, which depends on your body shape. The design is chosen for better ventilation and cooling, so it is may not be appropriate to wear on some formal occasions. However, many buyers praise its usefulness when traveling. The sunscreen coating is enough to protect you all day long under the hot sun even in the desert. This shirt is available in nine color options, including aloe, artichoke, deep blue moon, ink, light olive, pewter, and soapstone, salmon, and LT olive. 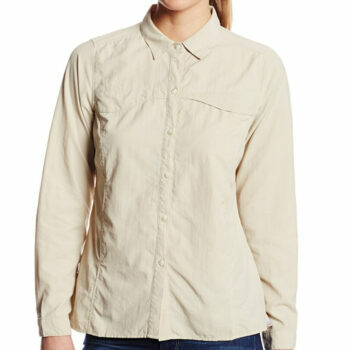 The shirt is made from the famous Columbia 100% polyester material, which is durable and strong. The fabric does perform exceptionally as far as resisting wrinkles and shrinking is concerned. A very versatile and user-friendly shirt incorporated with two secured document pockets and two-way mechanical stretch. It has a reliable sun protection rating of UPF 45+, which keeps you safe from excess sunlight exposure. The color options are not as advertised. Related: We recommend you buy this shirt together with the Royal Robbins Everyday Traveler Pants. The pants and the shirt will form a good-looking out for a day time outdoor expedition. 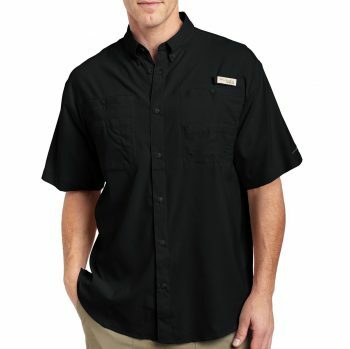 Specific features: Long-sleeve button up shirt, two secured pockets – zipper and velcro, utility loop for hanging sunglasses and pencils, three-position back cape ventilation, side vents, utility holding loop, UPF 40+ sun protection. Best use: Hiking, fishing, travel. Description: Available in around 20 color options, the ExOfficio Air Strip is another all-round, but primarily hiking shirt made of high quality fabrics which support a wide variety of formal and recreational activities. Sleeves can be rolled up and fixed with a button. You can stay out all day long in your Air Strip, which gives you 40+ SPF shield. There are things we don’t quite admire, though. First, it is the pockets which are positioned a bit high and is rather small. Only one has a zipper closure while another has just Velcro. Another thing, the design is quite slim, so it won’t be suitable for certain extreme activities, unless worn by a thinner person. With a plethora of color options it seems that this shirt is now more appealing to those who would use it as formal wear too. The shirt is also versatile because you can choose to tuck it in the pants or wear it out; it is basically your choice. 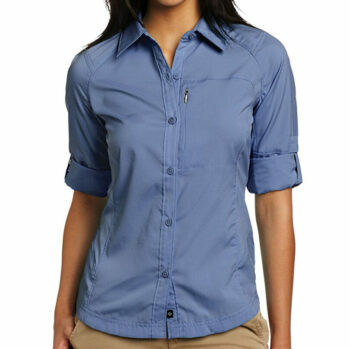 The shirt’s fabric is made up of 20% polyester and 80% nylon, making it flexible, durable, tough, and easy to iron. It is available in numerous colors, 20 color options to be precise, which is more than enough for different outfits. Back cape ventilation and side vents increase air flow, thus keeping you cool in hot temperatures. It has the variable sun protection of UPF 5-50 that keeps you safe from the hot daylight sun that would otherwise damage your skin. The Velcro collar is not a good fit. Related: ExOfficio also sells the ExOfficio Amphi Pants. We recommend these pants because they are the perfect match for an outstanding out-of-doors outfit. Specific features: Long-sleeve button up shirt, flow-thru ventilation, insect repellent coating, security zip pocket on front left. 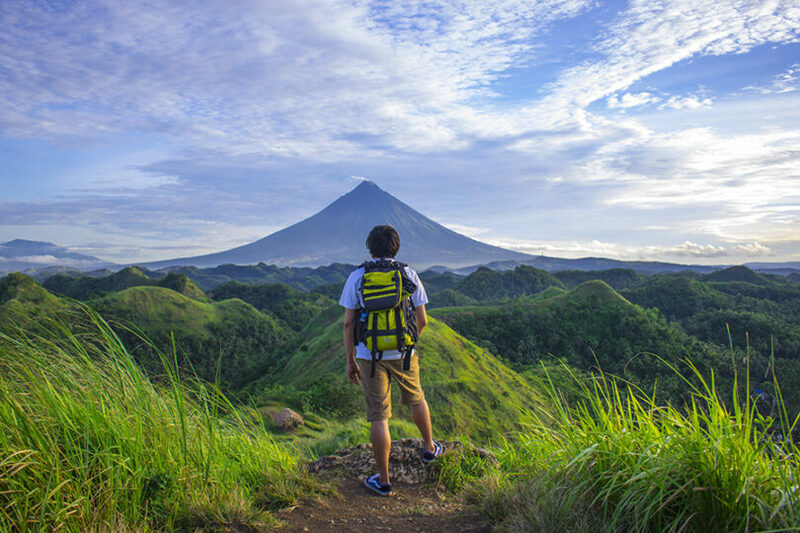 Best use: Hiking, travel, various formal and informal outdoor activities, especially in the wild and warm climates. Description: The ExOfficio Bugsaway Breez’R will keep you safe and protected from flies, mosquitoes, ticks and other dangers as well as not-so-dangerous but boring and aggressive insects while in the wild. That’s thanks to the Permethrin coating, which will last for the shirt’s life, it is invisible, odorless, water-resistant and harmless for humans. The insect shield coating can sustain 70 washings. While safe from insect menace, you will also remain fresh thanks to the FlowThru venting technology. Ultra lightweight rip-stop nylon feels like silk and is highly resistant to scratching and any other kinds of mechanical damage. UPF 30 sun protection is enough for prolonged outdoor activities. The nylon fabric is moisture-wicking and the maintenance of this shirt is as convenient as wearing it. If you’re going somewhere warm and humid such as Florida, this shirt is an awesome choice! The shirt will definitely meet your expectations, especially when you want protection from excess sunlight and biting insects. The shirt’s fabric is made of nylon material, which is flexible, tough, and durable for long-lasting durability and reliability. The fabric is incorporated with the Permethrin insect shield, which is tightly bonded, odorless, and invisible. The shirt’s fabric has remarkable moisture wicking capability; therefore, you will never soak in sweat. It has a sun protection rating of UPF 30+, which keeps you protected from the sun during your daytime adventures. Related: ExOfficio also sells the ExOfficio BugsAway Quietude Pants. The pants are a good match for outdoor trekking, hiking, and camping among other adventures. Best use: Fishing, canoeing, sailing, any other outdoor activity, primarily in wet or humid environments. Description: Made from advanced polyester fabrics the Columbia Silver Ridge is the women’s counterpart of the widely known Columbia’s Performance Fishing Gear shirts for men such as the Tamiami II. This issue from Columbia is silky smooth, but highly scratch resistant thanks to the Rip-Stop fabric texture. The UPF 40 sun protection will keep you safe all day long from the hot sunlight while you go about your activities. One of the strongest features is the Omni-Wick which releases moisture quicker than any other fabric. Wrinkle-free, it is a perfect solution for any activities that involve water. It fits slim and it is not a bad idea to wear it for work, but the office isn’t the Silver Ridge’s natural habitat, it is made to establish contact with the sea, river or lake during a day off. However, if these environments are your office, then it is an awesome choice which will be both comfortable and formal. The fabric is made of 100% polyester material (silver ridge ripstop), which is not only durable but also wrinkle-free. It has retractable sleeves that can be secured to transform the shirt into a short sleeve for user convenience. The shirt’s design is elegant, especially when the sleeves are folded, making it a suitable match for a long-haired lady. Has a sun protection rating of UPF 40 and a sun protection collar that ensure you are protected against sunlight exposure. The sizes are not as advertised, some of them turn out to be small. Related: You should consider buying the shirt together with the Columbia Anytime Outdoor Bootcut Pants. The pants and the shirt will form a good out-of-doors hiking outfit. 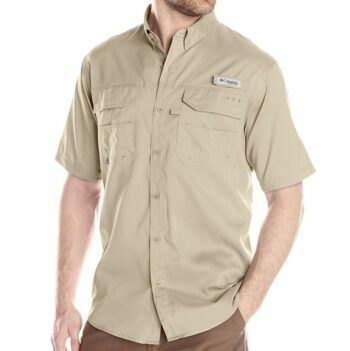 Specific features: Button-up short sleeve shirt, omni-wick advanced evaporation for quick drying, vented, two chest pockets with zipper closure, sun protection collar, anti-bacterial coating, UPF 40 sun protection. Description: With several distinctive features, the Columbia Lo Drag can be a good fit for every woman in every situation. The 100% polyester (Omni-wick ripstop) is very durable and strong. The fabric is mostly wrinkling and shrinking resistance for comfort wearing. The high UPF, sun protection power, and Omni-Wick advanced evaporation and active insect repellent, make it good for fishing, canoeing, hiking in all weather conditions, and also going to work and sitting in the office thanks to its moderately slim fit. Going to work is even better if a summer storm and showers get you while on foot, because the Omni-Wick will make it dry faster than anything. Pockets are not just practical for carrying documents and gadgets – make the shirt, double-layered on the chest area, so if you wear light or vivid colored bra it will be almost invisible. The elegant design is the perfect match for a woman planning a hike during the day. The fabric is made of 100% polyester material, which is durable, shrink-resistant, and wrinkle-resistant. It features Omni-Wick advanced evaporation technology that ensures you are sweat free at all times. The fabric is well-treated to avoid any bacterial growth, thus keeping your skin safe and healthy. It has a sun protection rating of UPF 40 and a sun protection collar that keep you safe from UV light. Limited color options for the money. Related: Columbia also sells the Columbia Pilsner Peak Pants. We recommend these pants because they are an ideal match for the shirt, especially for hiking. 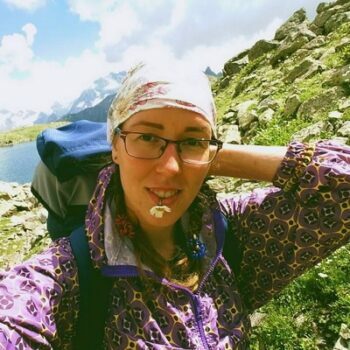 The above summary was not just to give you more ideas regarding what a good hiking shirt can do for you, but was designed to teach you some of the features which many people won’t expect from a shirt, such as active insect-repellent, antibacterial or UV protection, ventilation and else. Was this information helpful in your search of a hiking shirt? Do you think there are other resourceful products that we did not talk about? If so, please share your thoughts, experiences, and recommendations with us in the comments below.